With SI's Top 100 NBA players list released, The Crossover now has the full benefit of hindsight. Let's look at the spots where we got it wrong in 2018 and dissect how those decisions led to huge leaps—and huge falls—in 2019. In case you somehow missed the avalanche of tweets, gaggle of thirsty Instagram posts (swipe up! ), and complaints from general managers, The Crossover released its Top 100 list last week, a ranking of the NBA’s, uh, top 100 players as determined by parkboy Ben Golliver and the sneaky tall Rob Mahoney. Ben and Rob’s months of hard work, secret-sauce methodology and hurtful personal biases (Dion Waiters will show them!) produce a list that’s actually a pretty solid representation of where the game is today. But we’re not here to talk about this year’s list, exactly. We’re here to talk about the guys Ben and Rob got so wrong last season that they had to be moved all over the board for this year. It’s time for the Top 100 Hindsight List. No, this list isn’t 100 players long. But with the benefit of no real hard work and no real stakes, let’s look at which players made huge leaps—and huge falls—on the 2019 Top 100, and why. Oof. The hype around Whiteside was understandable heading into last season. He was a defensive force who led the league in blocks and seemed headed for a DeAndre Jordan-esque impact on the Heat. He could protect the paint while providing a powerful pick-and-roll partner for Miami’s guards on the other end. None of that came to fruition. 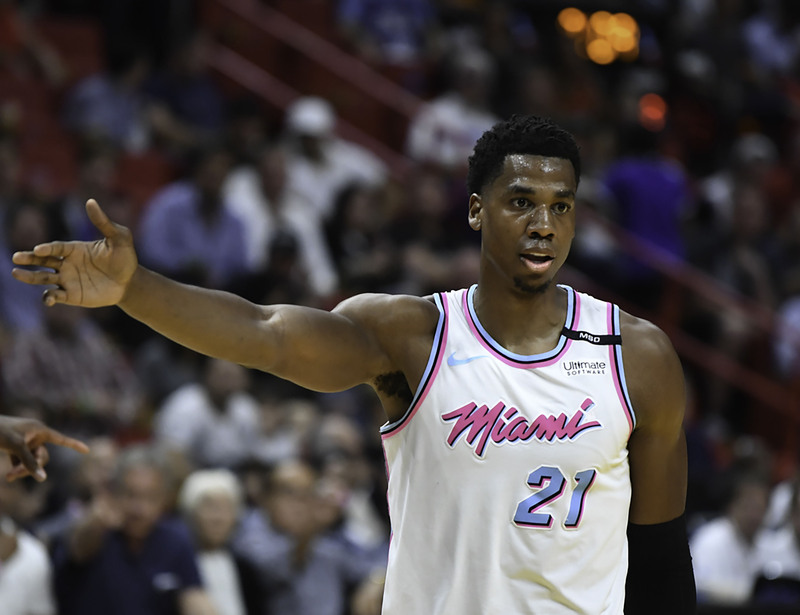 Hampered by injuries and a maddening attitude, Whiteside was last on the Heat in plus-minus last season. The nadir of the Hassan experience came in the postseason, when he couldn’t stay on the court against the much more skilled Joel Embiid. Whiteside remains on the Heat because Pat Riley couldn’t find a trade partner for his bloated contract in the summer. The mercurial center will need to re-enter his organization’s good graces before even thinking about re-entering the Top 100. Melo was supposed to complete the Big Three in OKC with Russ and PG, but he never quite adjusted to a lesser role. Anthony still shot too many ill-fated pull-ups with the Thunder, and in the playoffs, his game cratered dramatically as the team clearly performed better with him on the bench. Sam Presti cut bait this summer, sending Melo to Atlanta (where he was waived) to get out of paying the massive final year on his deal. The scoring enthusiast in me hopes that Anthony can bring something to the Rockets. But until Melo starts making some sacrifices—like genuinely accepting a bench role—it’s hard to imagine him climbing back into the Top 100 as his game veers toward becoming obsolete. Thomas was one of the hardest players in the league to rank entering 2017–18. He was coming off an MVP-caliber year that was a major outlier from most of his career, and he was also dealing with a mysterious hip injury that ultimately kept him sidelined for the first two-and-a-half months of the season. Thomas never found his form with the Cavaliers, and he was sent away to the Lakers at the trade deadline. I’m rooting for IT. He had to sign with the Nuggets on a minimum deal this summer, but he has a history of thriving a) off the bench and b) with a chip on his shoulder. Thomas may never be an MVP candidate again, but if he can regain his scoring touch, one day he can maybe find himself back on this list. Crowder struggled with the dysfunctional Cavs until looking more like himself in Utah. He’s still a useful 3-and-D guy on a good contract—although that “3” has come and gone outside of Boston. Still, he provided a nice little defensive boost for the Jazz in 2018, and he’s a candidate to sneak back into the Top 100 if and when some old guys age out/Ben and Rob just give up on the idea of centers. I wonder if Jimmy Butler ghostwrote the Wiggins blurb. The former No. 1 pick was supposed to take the leap in Minnesota alongside his new All-Star running mate. But Wiggins remained inefficient on offense and uninspiring on defense last season. Potential can only keep you high on the Top 100 for so long. Wiggins’s massive contract extension kicks in this season, and the Wolves need him to quickly start living up to his pedigree if they have any hopes of competing in the West—or keeping Butler beyond this season. Forty-one actually made sense for Embiid on the 2018 list. His ceiling was obvious, but his health was a giant question mark. 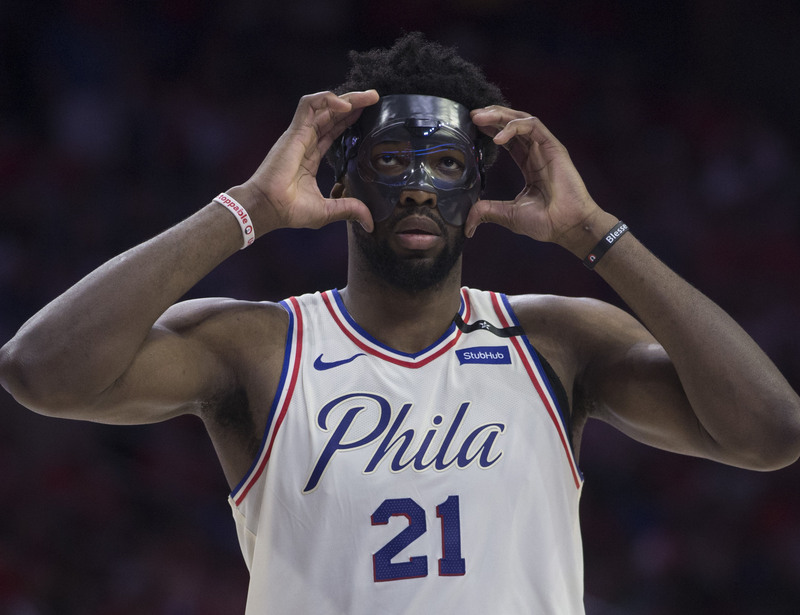 Jojo put those fears to rest during Philly’s run to 52 wins and a conference semifinals berth. Playing in 63 games, Embiid was a juggernaut on the defensive end and a mismatch on offense. The former No. 3 pick basically became everything Process believers dreamed about during Sam Hinkie’s first tank. It’s hard to imagine Embiid not being a star on and off the court in the league for the next decade. Capela has essentially become what Whiteside was thought to be on last year’s list. He’s an elite rim protector who also has the ability to guard perimeter players on switches. He can finish just about any lob from James Harden or Chris Paul, and he thrives in his role running from rim to rim. Contract standoff aside, the Rockets are lucky to have a big man like Clint, whose game still works in the modern NBA. Capela was playing at an incredible level in the postseason, and though he wasn’t always as effective against Golden State, he’s also rarely a liability. In the high-stake form of small-ball that’s become the Western Conference, having a big like Capela is becoming exceedingly rare. Holiday had a bounce-back season in 2018, playing in at least 80 games for the first time since 2011. His defensive ability is integral to the Pelicans’ success, evidenced by him checking Kevin Durant during the conference semis. Holiday’s low ranking in 2018 was more a reflection of some nagging health issues and an eyebrow-raising contract he signed last summer. His placement on the 2019 list reflects what Holiday is capable of when he can play consistently. Even Victor Oladipo’s family had to be a little surprised at what he did in 2018, right? Free from the shackles of Russell Westbrook, Oladipo put together a superstar season in his first go-around with the Pacers. He’s making a massive leap on the Top 100, and the pressure will be on the Indiana product to prove his renaissance wasn’t a fluke. I’m really curious to see how Oladipo will respond to the hype that’s building around him. He won’t be surprising anyone this season. We already know Dipo was in the gym immediately after the Pacers’ first-round exit to the Cavs. We’ll find out soon enough if those extra reps paid off. This is a tricky one. Gordon could have been a star in his own right if not for knee injuries early in his career. He was a supersub for the Rockets last season, showing he could do more than simply spot up for bombs well beyond the three-point line. Gordon is an integral part of Houston’s success, showcasing willingness as a defender and just enough of an off-the-dribble game to keep things interesting on offense. Still, I’m not sure I’d have Gordon over guys like Devin Booker or maybe even Jamal Murray. Isn’t that really the beauty of the Top 100, though? Even when you try to fix a mistake, you open yourself up to another debate.